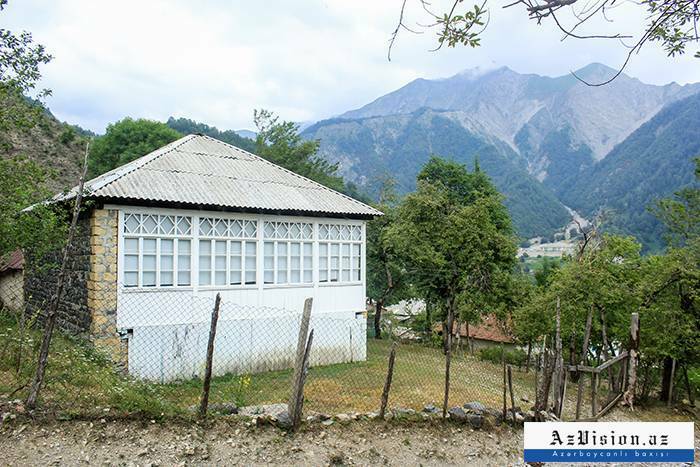 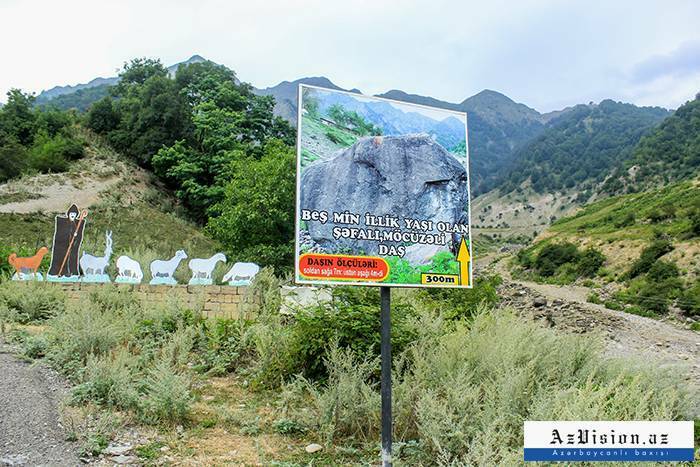 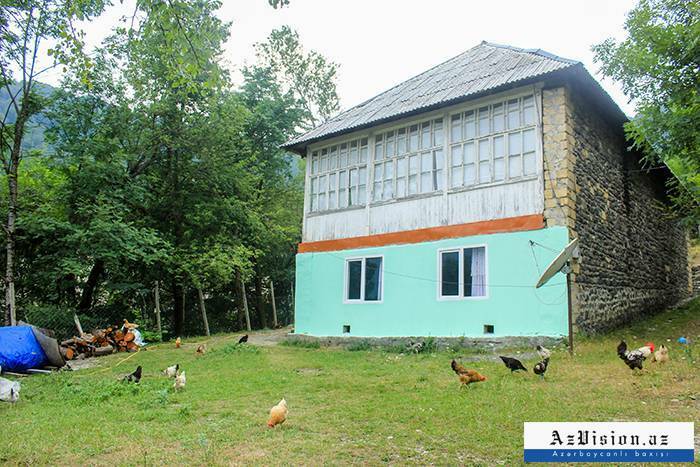 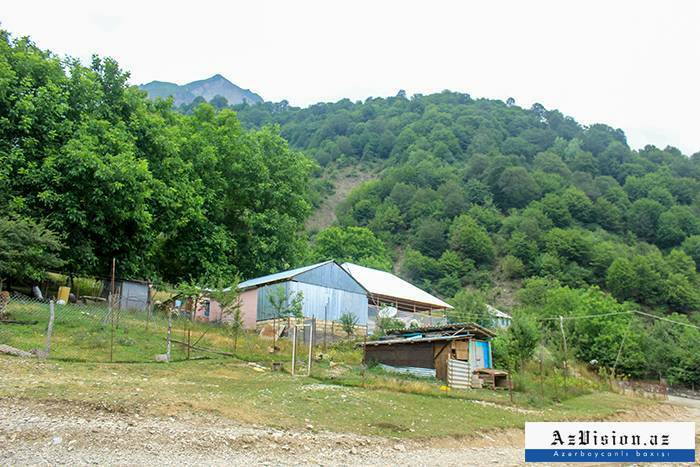 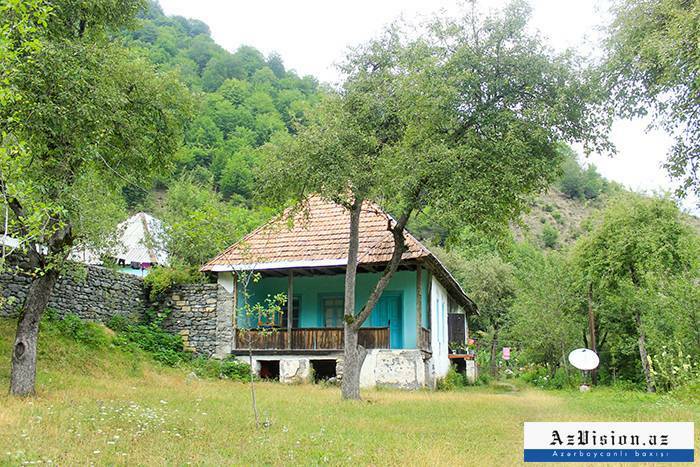 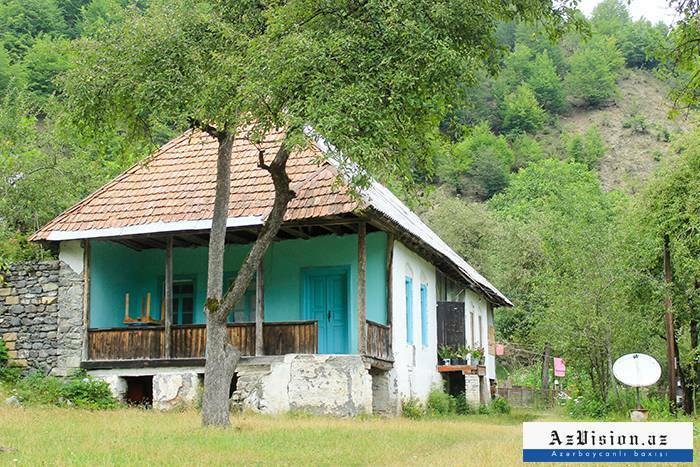 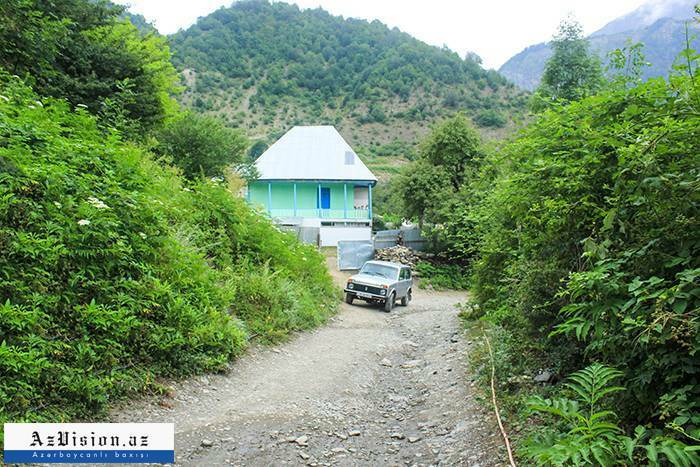 Laza village is situated at a distance of 8 km from the center of the resort town of Gabala in the coast of Demiraparan river at an altitude of 1300-1400 meters above sea level. 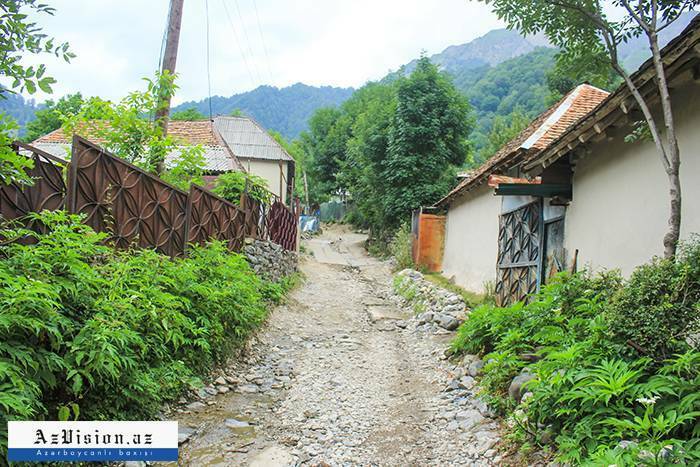 We continue our journey to the village after capturing the photo of the stone. 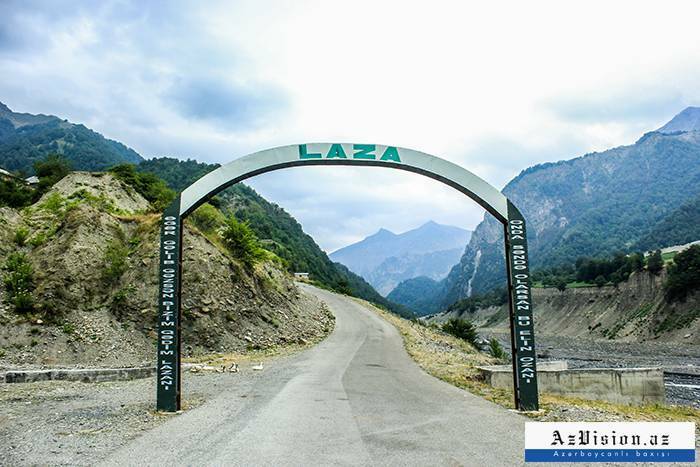 Laza is surrounded by a wonderful natural environment: dense forest, green glens, and cold springs. 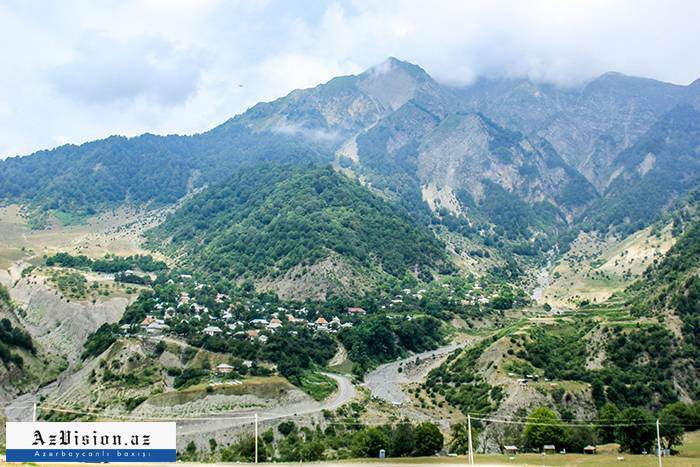 That's why local people and tourists visit Laza when they are in Gabala. 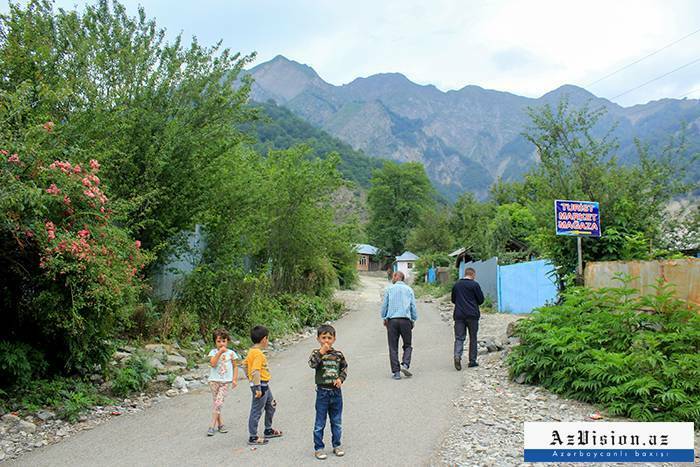 We learned that a new school building is being constructed in the village. 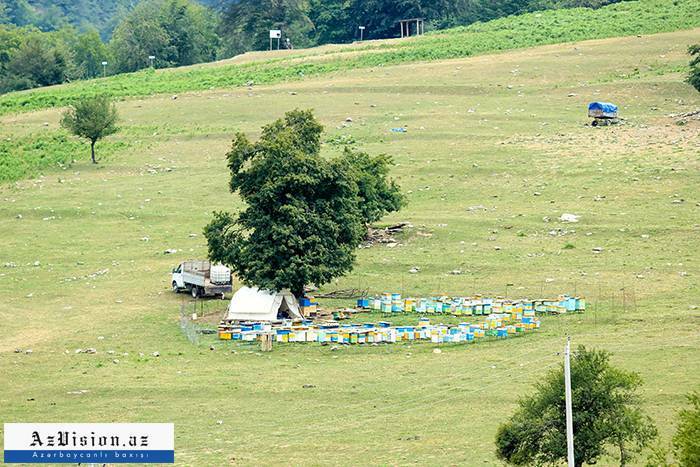 The previous one was too old. 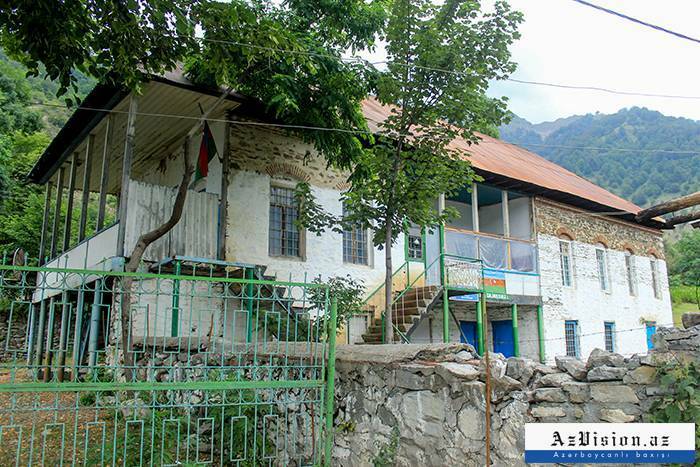 Currently, it is being replaced with new module type school. 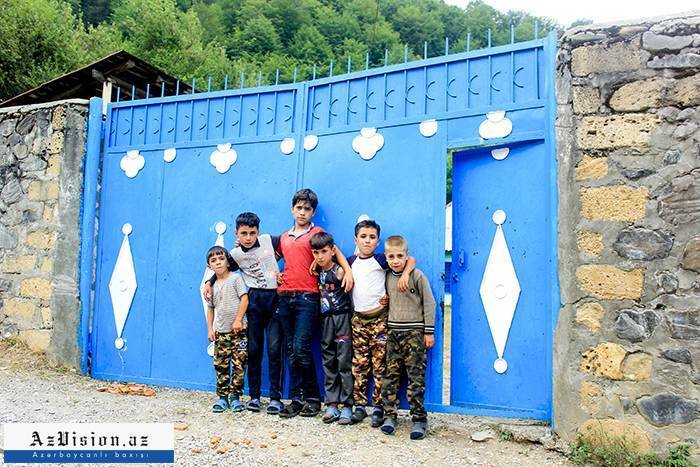 Schoolchildren of the village will be able to study at a new school on September 15. 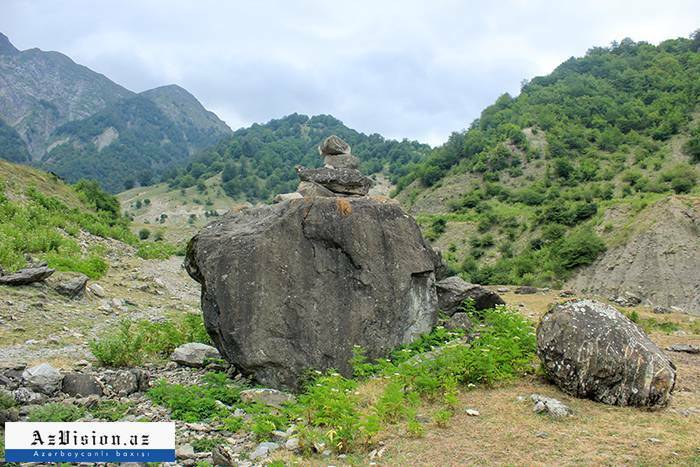 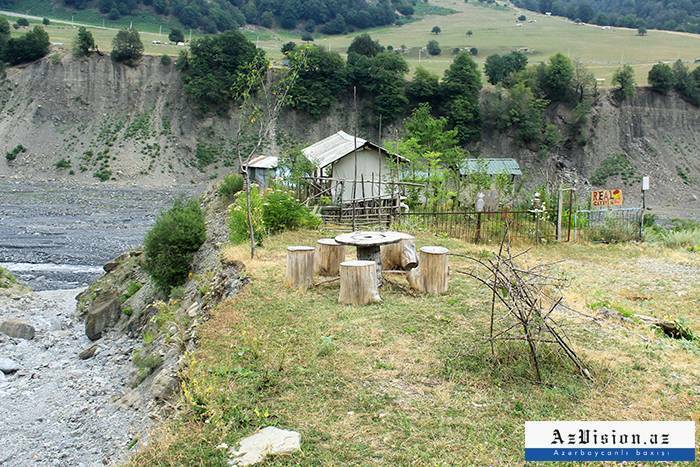 Another feature of Laza is that it is located on the way to one of the highest waterfalls of Azerbaijan- Mujug. 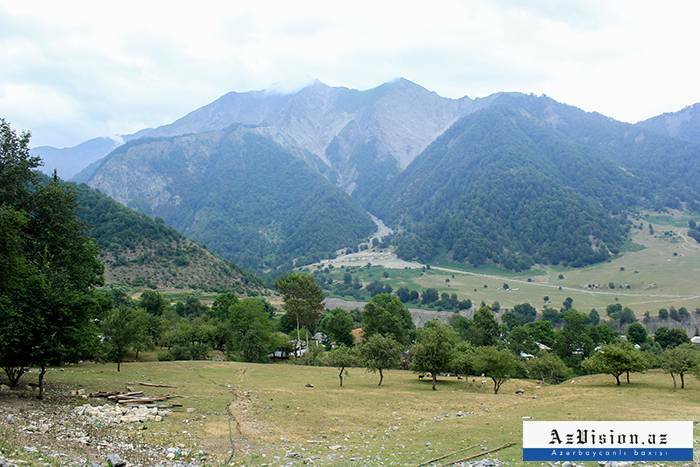 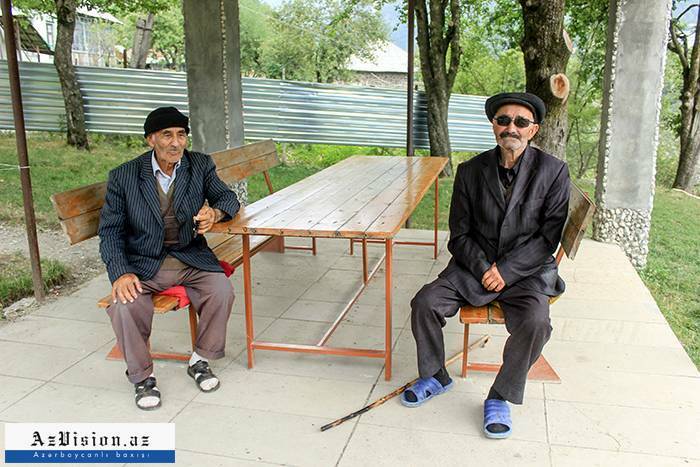 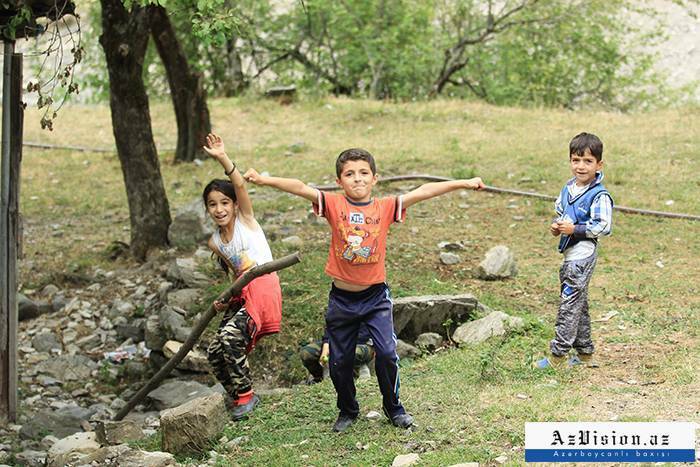 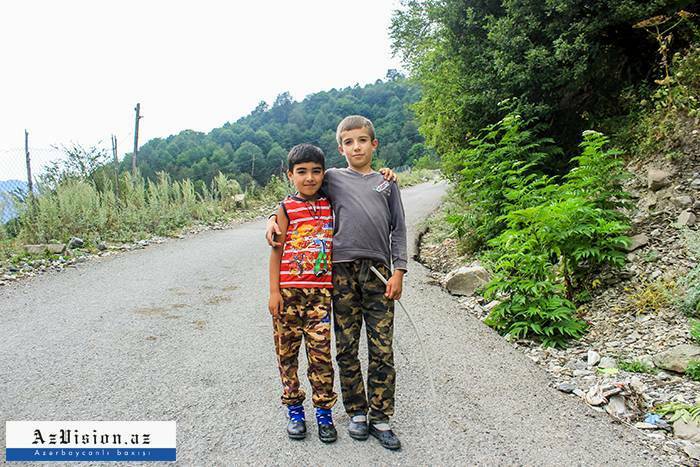 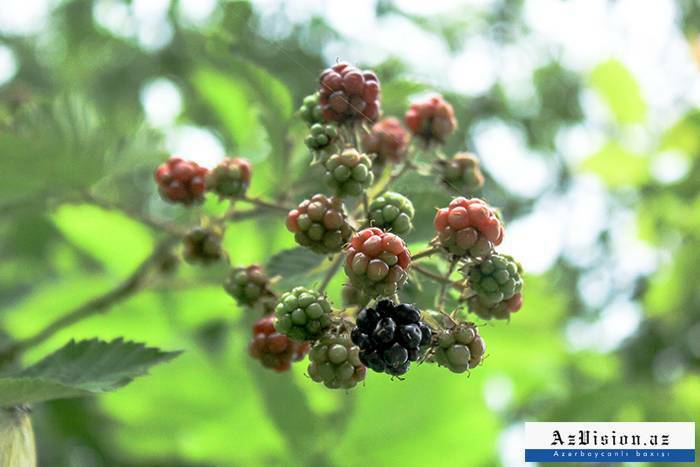 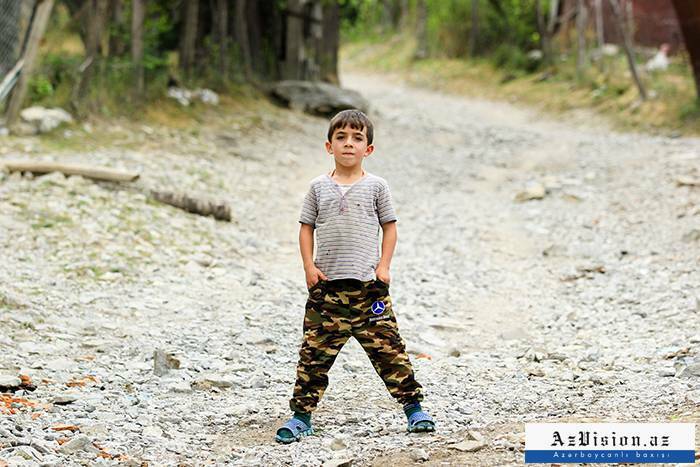 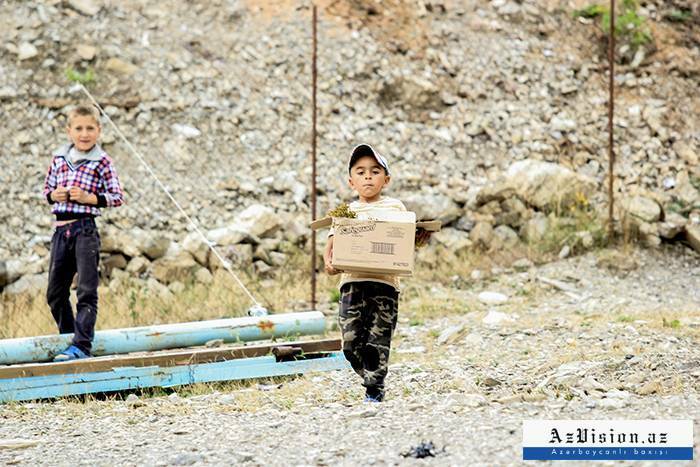 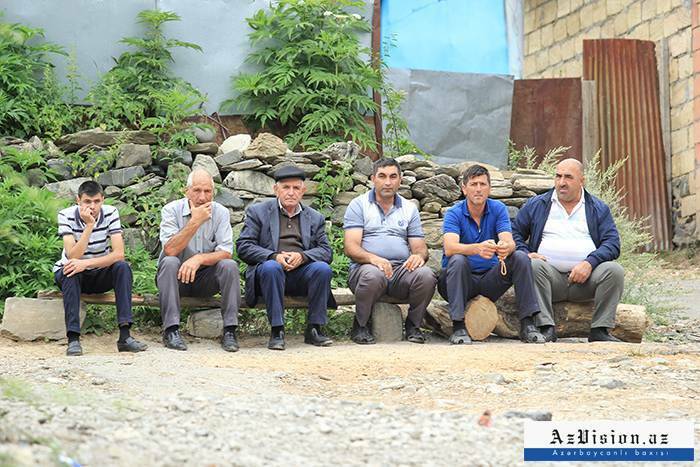 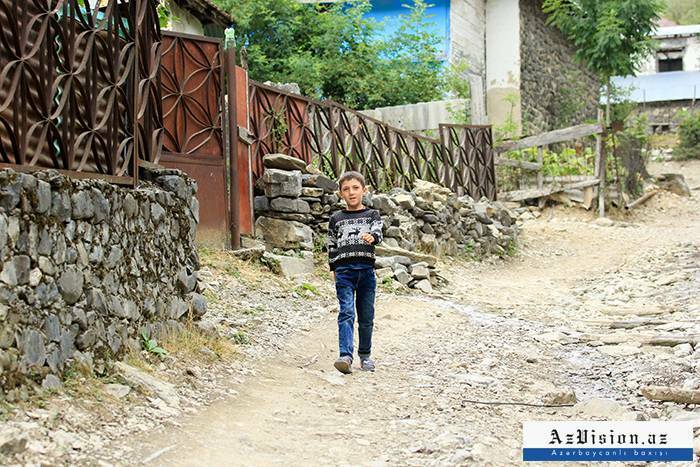 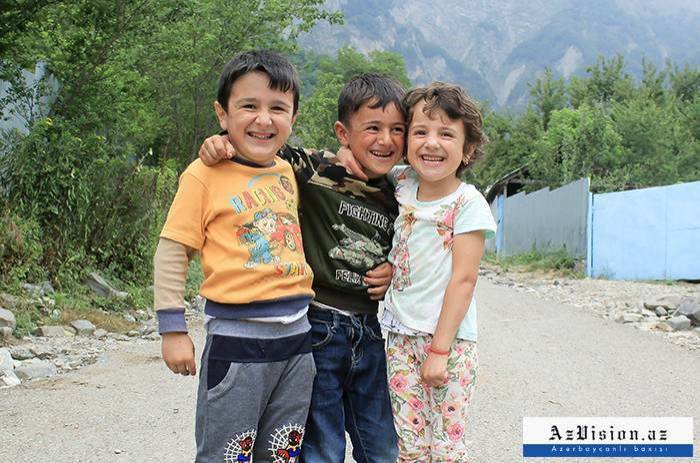 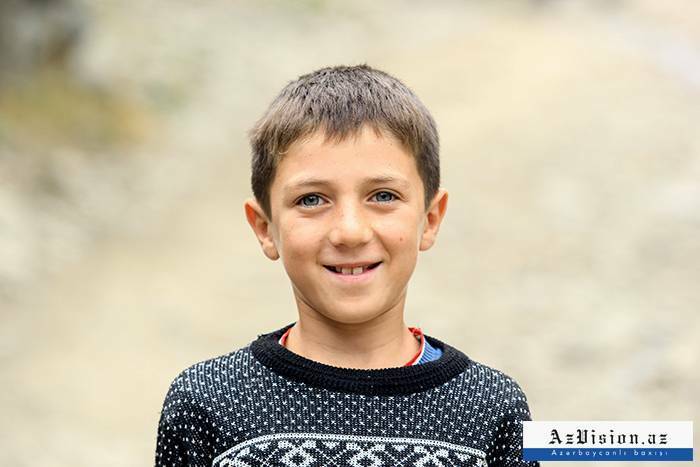 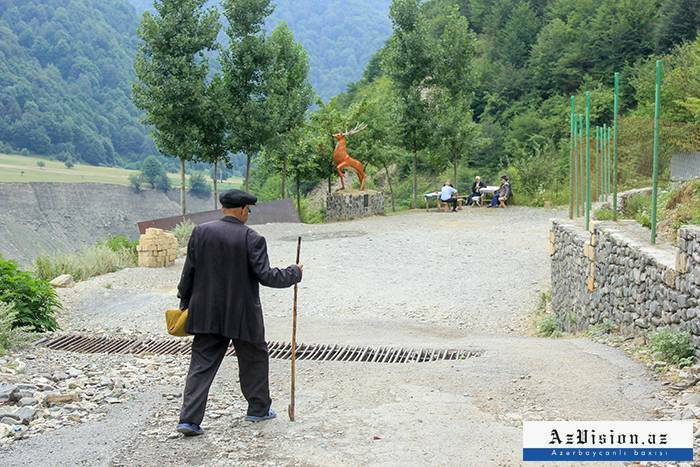 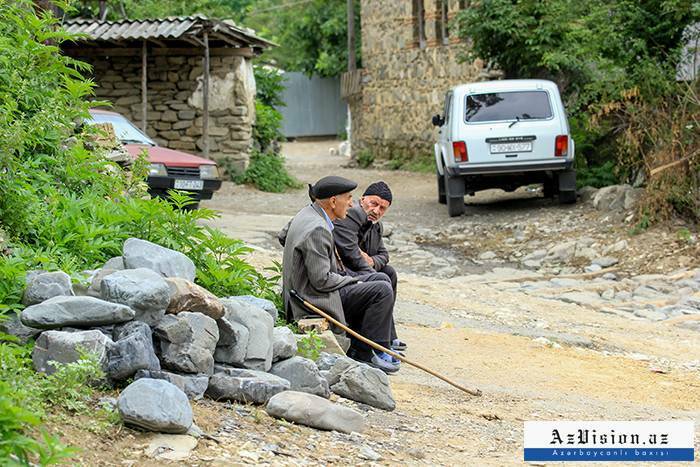 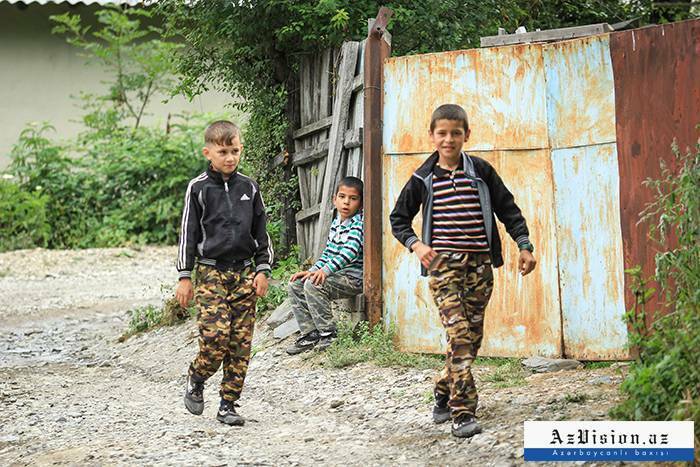 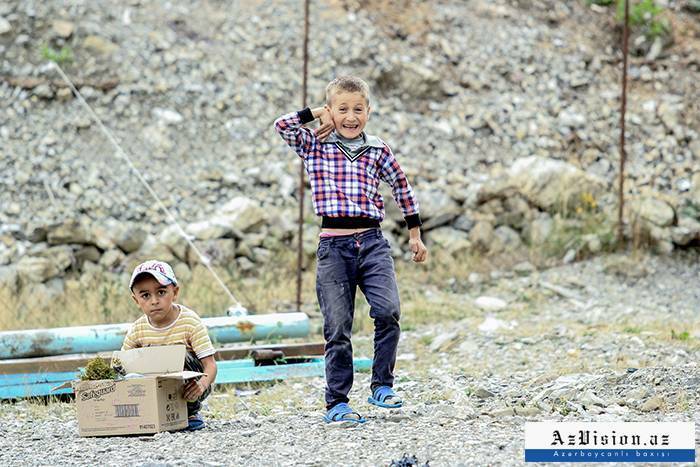 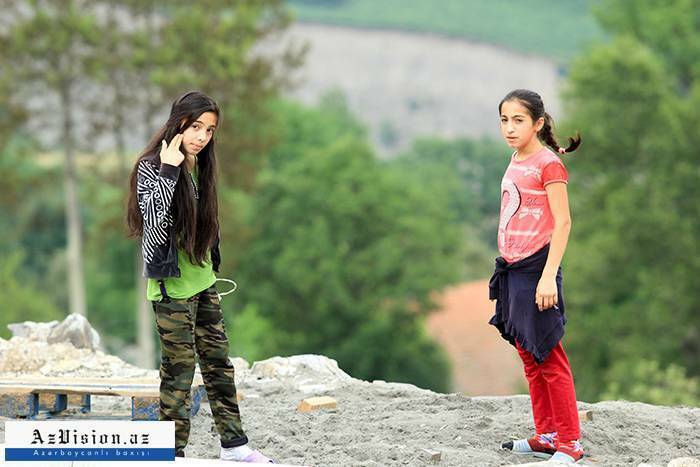 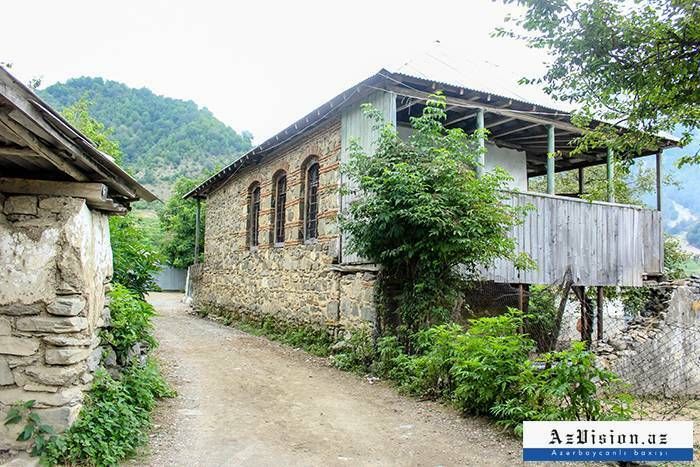 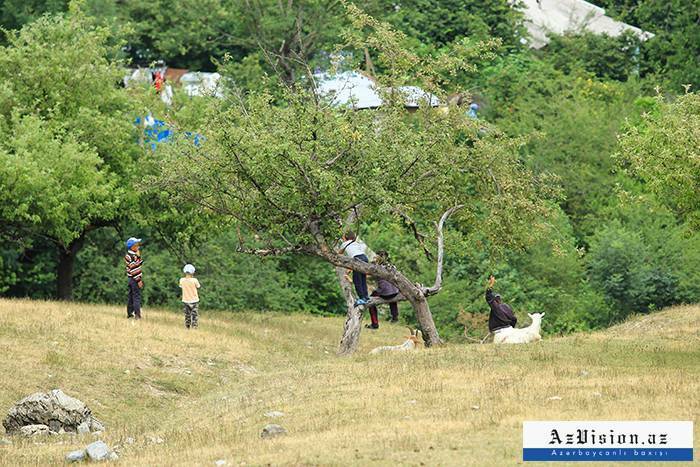 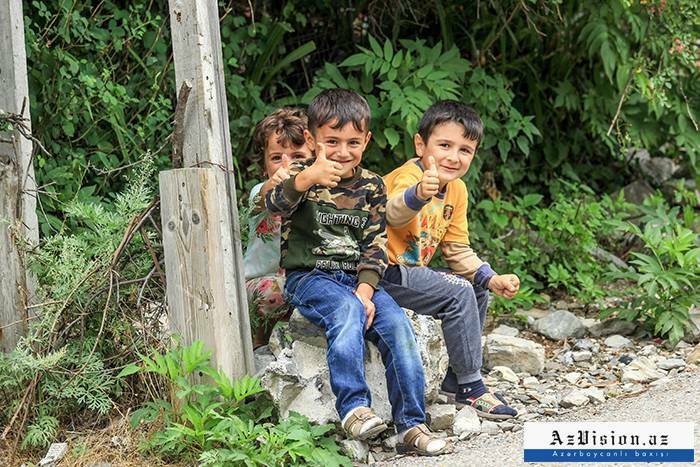 AzVision.az presents the photos captured in Laza, Gabala.